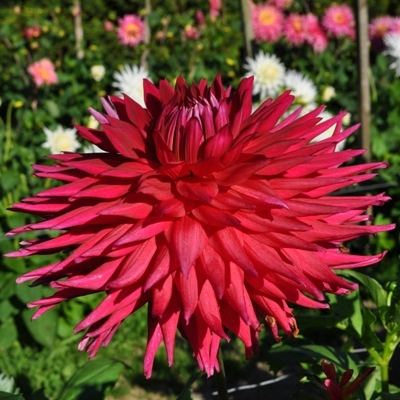 This vigorous variety, introduced in 1982, is one of the earliest Giant Dahlias to flower. 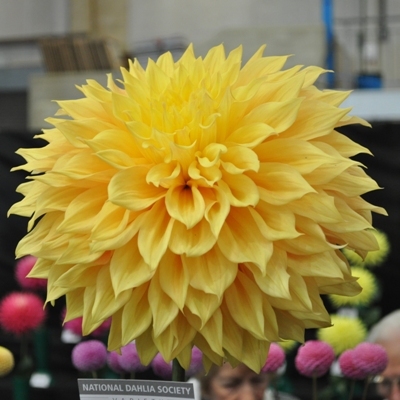 When grown 2 up for showing flowers could easily reach 35cm across! 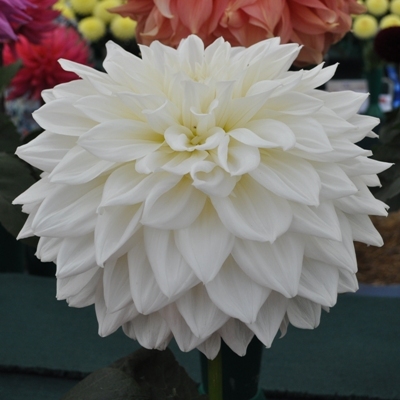 It is still a popular variety for showing regularly featuring in championship winning exhibits. 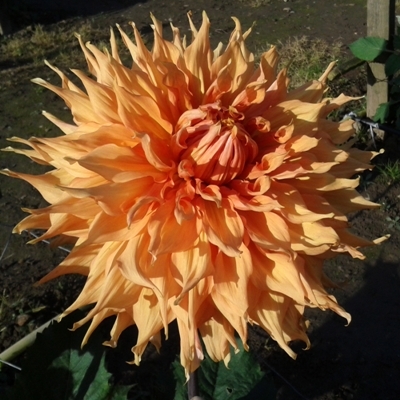 The well formed blooms of bronze and yellow blends have petals which evenly overlap and have a slightly reflexing habit giving the individual blooms good depth. Good stems and a long footstall means that a good stem for cutting can be achieved by removing 2-3 pairs of buds below the terminal bud though removing more will result in bigger blooms. Other Attributes: Tall growers so need good supports.